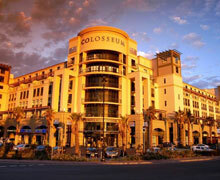 Hotel accommodation can be reserved in Century City, Cape Town through the intermediary of Turners Conferences who have secured preferred rates for participants. All rates quoted on the hotel booking form are in South African Rands and are per room and per night, breakfast and service taxes included. The hotel category should be indicated on the hotel booking form. Please also indicate which other category we should book in case the chosen one is fully booked. 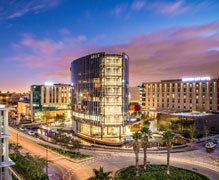 Please note most of the hotels are close proximity to the Century City Convention Centre. All hotel reservations will be confirmed to you in writing with the name of the hotel, the type of accommodation booked, the arrival and departure dates, the rate, and the deposit required. This will be accompanied by an invoice and request for payment. Full prepayment is required to secure the hotel booking. All incidentals are to be settled prior to departure from the hotel. Payment may be paid either by bank transfer or by MasterCard, Visa, American Express or Diners Club credit card. Full details appear on the booking form. For all group bookings (10 rooms or more), 50% deposit to be paid on receipt of first invoice, the outstanding 50% deposit to be settled thirty days prior to the start of the Congress. Cancellations must be submitted to Turners Conferences in writing. You may cancel your reservation up to 1st July 2017 with a full refund of your deposit paid less an administration fee of ZAR228. An amendment fee of ZAR228 applies to all changes made to confirmed reservations. Should you reduce the length of your stay upon arrival at the hotel, the hotel reserves the right to charge cancellation fees for the nights that you will no longer be using. For full details of the hotels, please click on the name of the hotel below. The following hotels have been especially reserved for the congress and preferential rates have been negotiated. Please indicate your choice of hotel on the hotel reservation form. 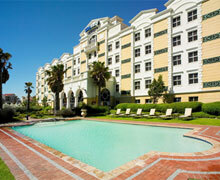 All rates are quoted in South African Rand (ZAR) and are subject to change. 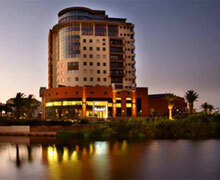 Rates are per room per night and include either a Continental or English breakfast, VAT at 14% and Tourism Levy of 1%. Single Occupancy: A single person occupying a room which has a king, queen or standard double bed. Twin Sharing: Two persons sharing a room which has either two standard double beds or two � beds. Double Occupancy: Two persons occupying a room which has a king, queen or standard double bed. For your convenience kindly utilise the following currency converter which will assist in determining the rates of exchange from South African Rands to your local currency. Other properties available on request. Alternative accommodation is available to participants who would prefer to be housed at alternate Hotels, Guesthouses or Bed & Breakfasts within the greater Cape Town area. Negotiated rates would apply. Please forward your request via email to Bruce Rumble: brucer@turnergroup.co.za. Number of people requiring accommodation.